I took the main outline and divided it into segments where I could use different calico patterns and colors for more of a pieced look, and I added side pockets for the wings where a few little chicks could be tucked in. 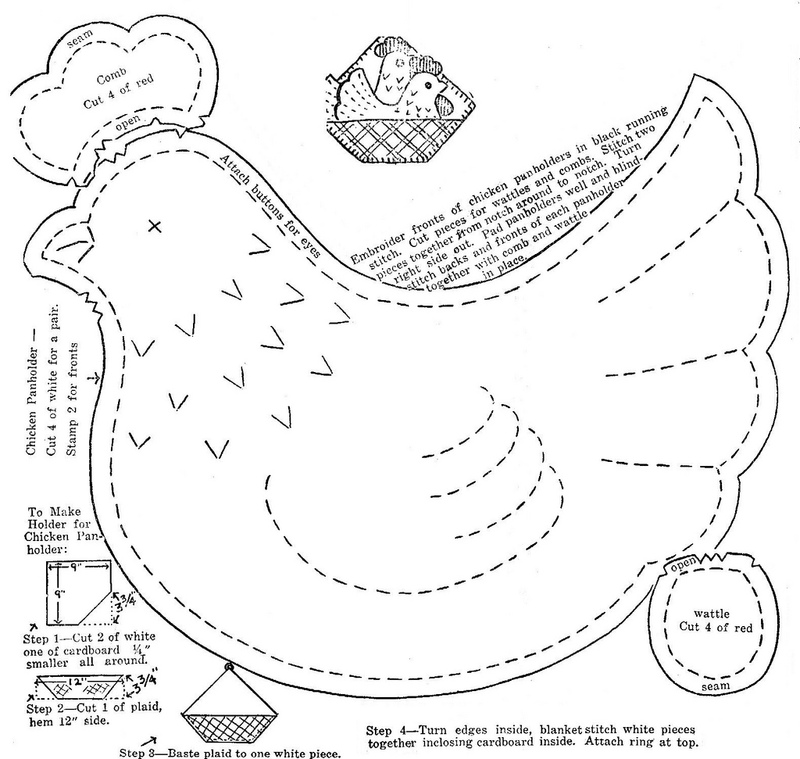 Most importantly, because this is a 2D pattern and I’m not creating a potholder, you need to create a bottom piece so the stuffed hen can stand on its own. I made a bunch of ducks years ago from a craft pattern, so I pretty much know what that piece should look like. It should be a long oval with either rounded or pointed ends that goes along the bottom of the animal from front to back, not too far in either way, just at the bottom. 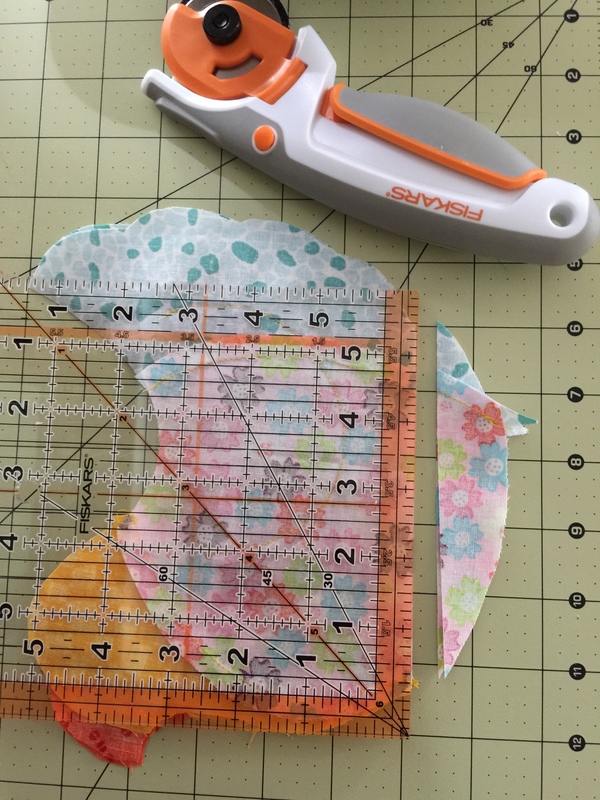 Be prepared to cut and re-cut the pattern piece until you get one that is long enough and wide enough to be flat—too wide and it will just turn into a ball. Actually, I made a trial hen and that helped. I went round and round on how to create these pieces. I thought about using fabric, as the pattern suggests, but then it seemed like felt would look better. I tried doubling the pieces, cutting them with pinking shears and topstitching them, but it was too bulky. I tried a number of colors, such as the orange of the beak, but ended up with a single layer of red felt. I cut around the seam allowance for a larger comb. I didn’t like the original shape or angle of the pattern wattle, so I freehand drew more of a teardrop shape. 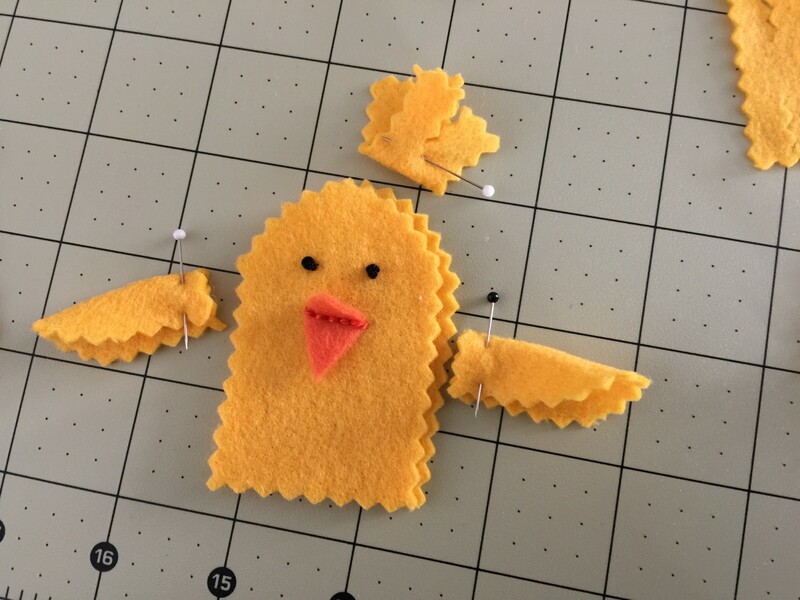 Sew the pieces of each side together, including the beak pieces—I topstiched mine on each side first so they were part of each finished side. If you haven’t cut the bottom curve into a flat bottom, do that now and then create the bottom oval piece. 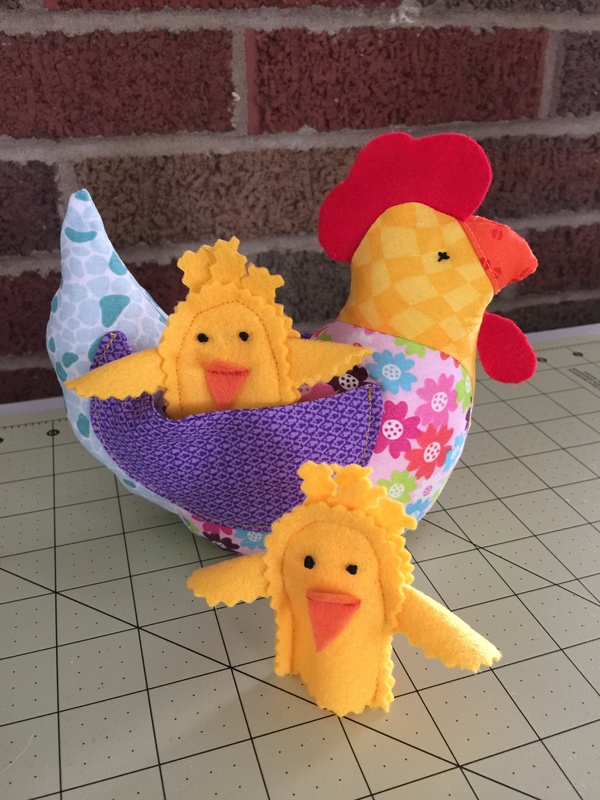 Finish the wings and topstitch around the bottom onto each hen side, pinning the pocket so they are not flat against the bird, but are curved a little to be open for holding toys or candy. Baste the comb and wattle in place and pin out of way before sewing each side together, beginning and ending at the seam allowances at the bottom, so you can fit in the bottom piece. Decide where you want the opening to be for stuffing. I’m putting mine at one of the bottom side edges. Pin in the bottom all around, creating a large dart at the back. Stitch the dart. Stitch one side of the bottom between the seam allowances. Stitch the beginning and end of the other bottom side, leaving at least a two-inch opening for stuffing. Stuff tightly and hand sew the opening with a blind or buttonhole stitch. Embroider or sew on button for eyes (mine are sewn on in the bottom photo). There are several sizes of the image on Flickr, and you could choose one of the larger ones and print it out over a few sheets of paper for a larger hen. 1. Cut a rectangle 1.5″ x 2.5″ and round off one end. 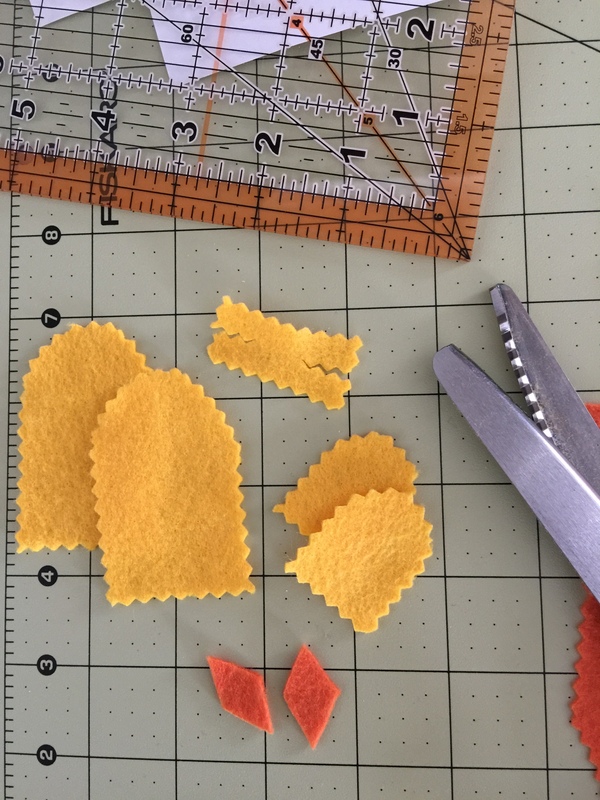 Cut two of yellow felt with pinking shears for each finger puppet. 2. Cut orange beak in a diamond shape, yellow wings 1 3/8″ x 7/8″ rounded, and yellow top feather piece 1 1/2″ x 1/2″ with each end clipped in the center. 3. Hand or machine sew beak in place. 4. Embroider eyes with black thread. 5. Pin back and front together, catching in folded wings and feather piece folded slightly unevenly. 6. Stitch around, catching in folded wings and feather piece. Thank you for your cutest patterns. Ready to create a version. I would like to order your patterns please. Usually there is a link to where I have found patterns in the post. Other pattern images can be saved by right-clicking on the images and saving them. 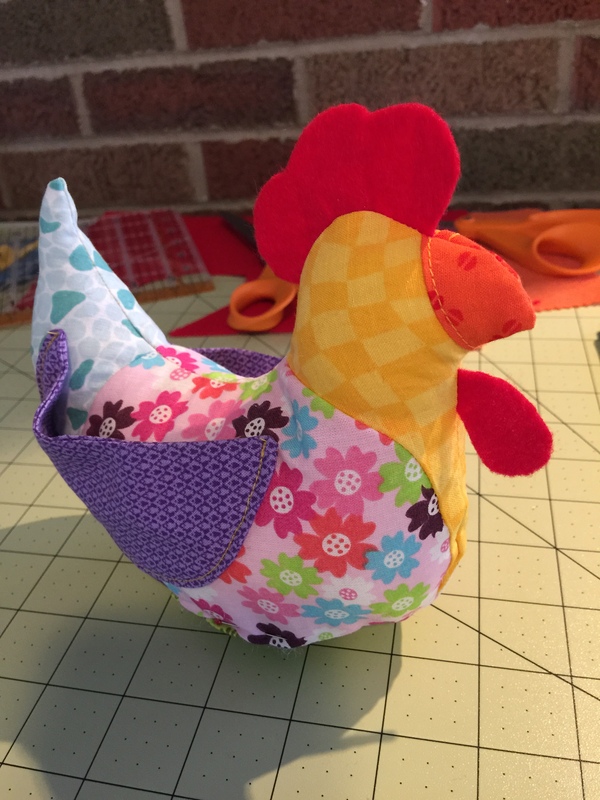 A lot of the things I do to patterns is by trial and error to get them to fit my purpose, like with this hen that I turned from a flat potholder into a three dimensional toy. I made the Chicken potholder sitting on a scouring pad with my Mother in law when I was 17. I am 64.